The Dell XPS 15 seamlessly blends power, performance, and excellent industrial design. The Dell XPS 15 is the larger version of the Dell XPS 13, one of our favorite laptops of the last few years. Set them side-by-side, and you can see that Dell didn’t want to mess with a good thing. With the XPS 15 2-in-1 now in the lineup, is the more traditional XPS 15 still worth the purchase? We think so — especially with the update to 8th-gen processors currently available. Shrouded in a thin plastic sleeve, the XPS 15 rests inside its soft black box, waiting. From the moment you lift the lid off of that box, it’s clear that this laptop is different. The chassis is clad in matte burnished aluminum, inset with a glossy black Dell logo. The seams are soft-touch plastic, and the interior is lined with carbon fiber. To be clear, that’s real, actual carbon fiber, not just a textured sticker underneath some transparent plastic. You’ll find none of that nonsense here, as the Dell XPS 15 doesn’t compromise on build quality. 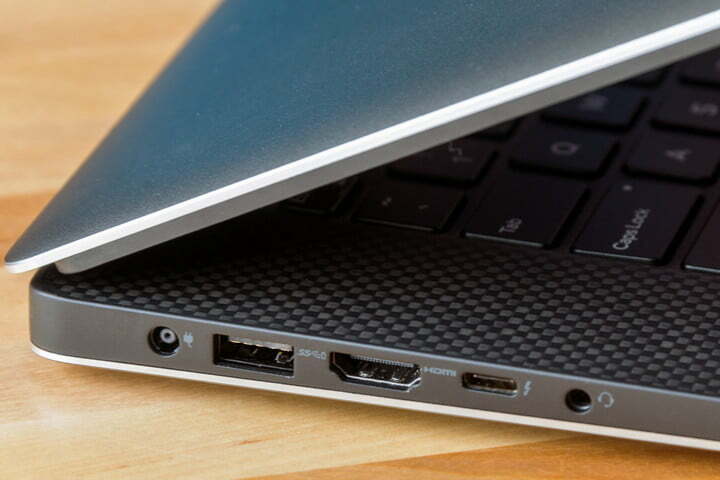 Every corner, every facet of this laptop feels high quality and robust. From the materials to the layout, there’s not much to complain about. The XPS 15 isn’t just well-designed. It’s well-engineered. 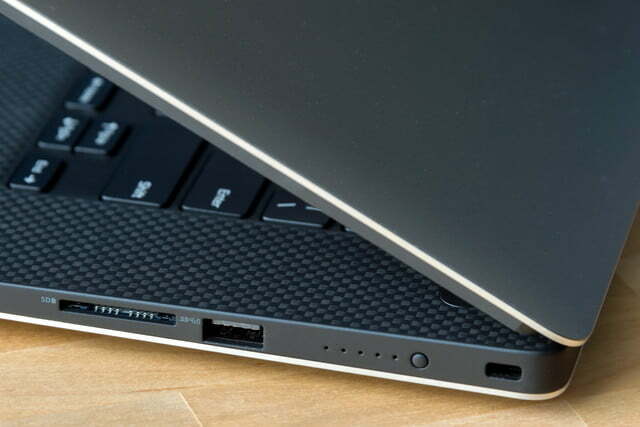 The XPS 15 features an adequate, if not overwhelming, number of ports with an appreciable amount of variety. There are two USB ports, one on either side, a USB-C port, an SD card slot, a standard 3.5mm headphone jack, and an HDMI port. It provides just enough connectivity, even when you’re using a lot of accessories — like an external monitor, keyboard, and mouse. There is, however, a notable absence, because the XPS 15’s svelte chassis — the venerable Ethernet port is nowhere to be found. So instead, you’ll have to do with investing in an Ethernet to USB or USB-C adapter, if you need faster-than-Wi-Fi internet speeds. Compared to the XPS 13, which features the same number of ports, but minus the HDMI port, it’s an appreciated step up. You get everything the 13 offers, plus a little extra, which is a good thing if you happen to use external monitors on a regular basis. Alternatively, you could use the included Thunderbolt 3.1/USB-C port to handle video connections if you have a compatible monitor, or an adapter handy. Laptop keyboards are seldom as comfortable as a full-sized desktop keyboard. Even if you’re not a fan of clickety-clackety mechanical keyboards, the extra space feels luxuriant after using a laptop keyboard for a while. The XPS 15 tries to mitigate that cramped feeling by offering a bit more lateral space than its 13-inch sibling, and its appreciated. Typing on the XPS 15, even for long periods of time, never feels tiresome. 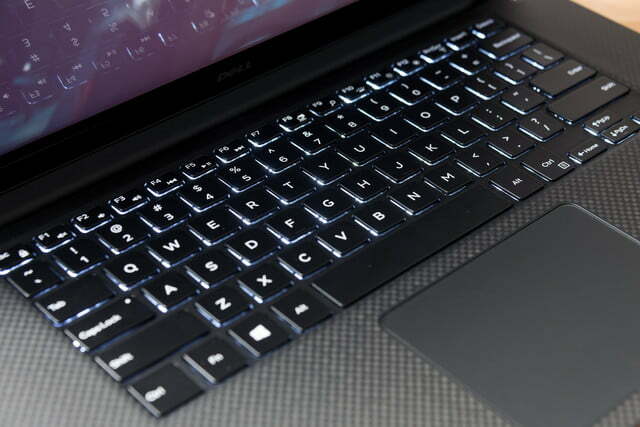 The keys have decent travel for a laptop, offering just enough depth without feeling mushy. The XPS 15 isn’t just well-designed, it’s well-engineered. The keyboard features a white LED backlight as standard equipment. The light leaks substantially from under the keys, and it’s not very attractive. It provides utility in the dark — when you need to search for your Function keys — but that’s about it. The light leakage tends to spoil the otherwise high-quality vibe the XPS 15 conveys. The trackpad is nice and matte, with just enough texture to differentiate it from the soft-touch material along the interior of the laptop. It clicks nicely, and responds well to basic taps and multi-touch gestures. 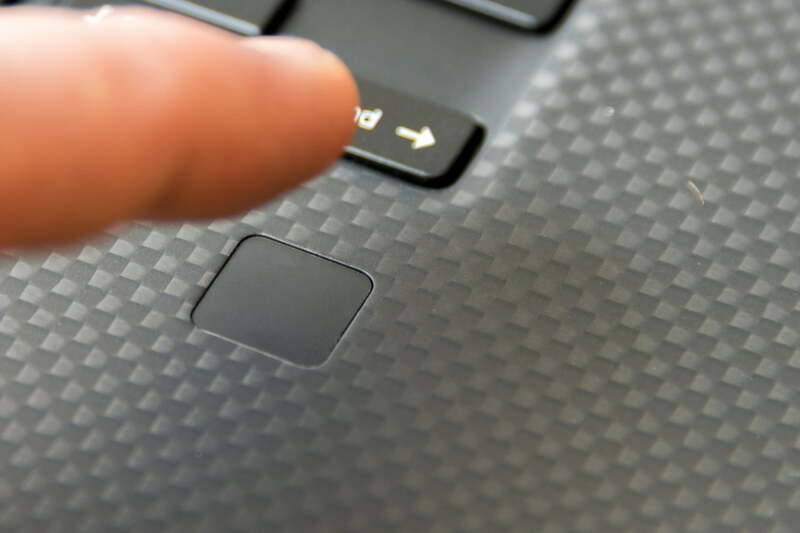 Compared to the trackpads on similar laptops up and down the Dell lineup, the XPS 15 delivers an unparalleled level of accuracy and control. The Dell Inspiron 15 Gaming, for instance, opts for a cheaper trackpad and the quality gap is stark. On the business-class Dell Latitude, the trackpad feels nice, but it’s not as pleasant to use as the XPS 15 — multi-touch gestures just aren’t as quick and responsive. 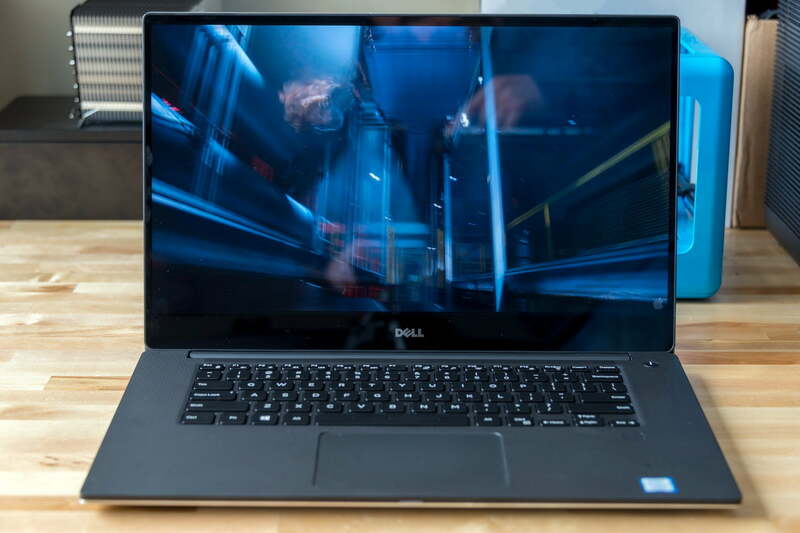 Our review model of the XPS 15 features a 4K touch screen display, and at first it seemed like overkill for a laptop — particularly a laptop that isn’t primarily for gaming. But once you feast your eyes on its inky blacks and vivid, lively colors, it’s very hard to go back to a run-of-the-mill 1080p display. It certainly helps that the XPS 15 features not only tack-sharp picture quality, but outstanding color accuracy and fidelity. The XPS 15’s display is an embarrassment of riches, so let’s start with the basics: Resolution. The 4K display panel Dell chose for this model is nothing short of superb. That lavish screen real estate lends itself well to a 15-inch display, as you have enough room for two full-sized windows side-by-side, and the immense resolution ensures that text is silky-smooth and inky. Moving on to the numbers, the XPS 15 doesn’t just look great, it’s objectively superior to most laptop displays. 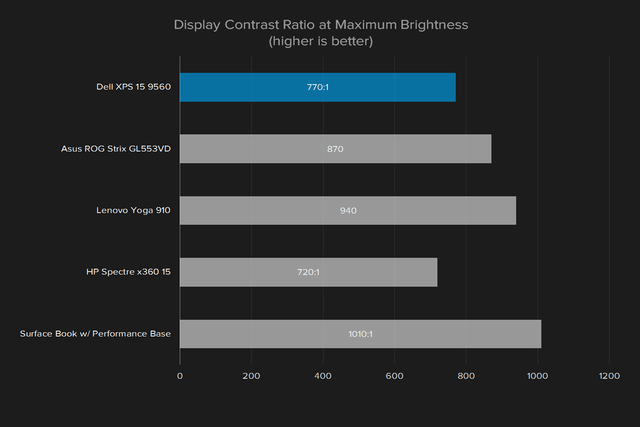 Starting with the sRGB spectrum, you can see that a good display will usually land in the 90-99 percent range. 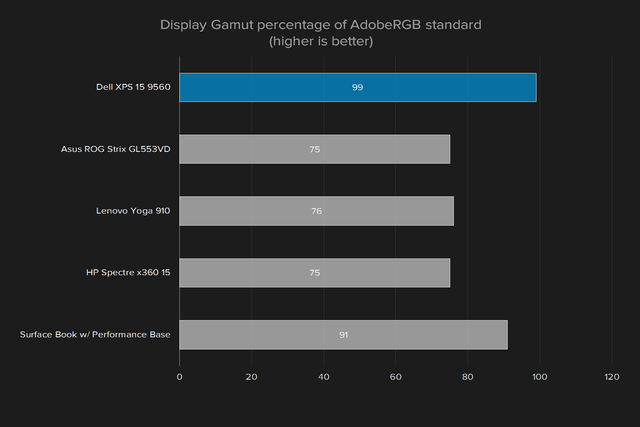 With the AdobeRGB spectrum, good displays can land anywhere from 76-80 percent, meaning they’re still incapable of rendering about 20 percent of the colors in that spectrum. The XPS 15 though, hits 99 percent, meaning it’s capable of reproducing nearly every color in the AdobeRGB spectrum without fail. Not only that, it’s capable of reproducing those colors very accurately. The Dell XPS 13 and Apple MacBook Pro 15, both of which have fantastic displays, land on either side of the XPS 15 when it comes to color accuracy. The XPS 13 has an average color error of 2.65, which is a little too high, meaning colors will look a bit off — they’ll be noticeably different on the XPS 13’s display than they would be in real life. On the other hand, the MacBook Pro 15 manages an average color error of 0.61, meaning its colors are nearly perfect — good enough for professional-grade color-sensitive work like photo and video editing. 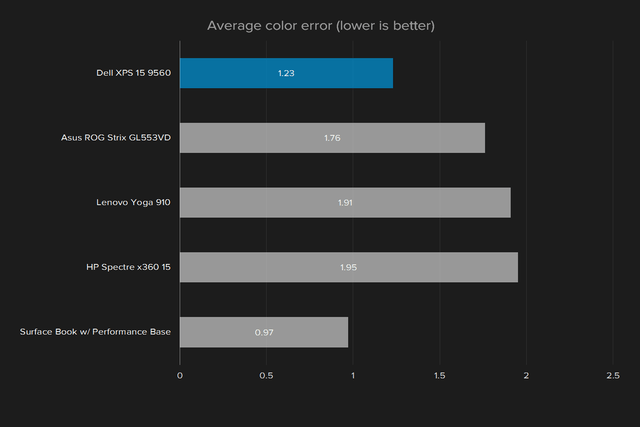 The XPS 15 comes in right between them with an average color error of 1.23, meaning its colors are very close to perfect. The speakers on the XPS 15 aren’t the worst you’re ever likely to use on a laptop, but they crush otherwise dynamic sound by a significant degree. Everything sounds hollow, though the speakers do at least steer away from a muddy, unclear quality. The XPS 15’s built-in speakers are fine for system alerts and the occasional YouTube video, but for anything else you’ll probably want to invest in a pair of decent headphones. Another distinct advantage the XPS 15 has over competitors is its 7th-generation Intel Core i7-7700HQ processor, clocked at 2.8GHz. It’s an upgrade over last year’s 6th-generation model, and it performs a bit better in everyday use but it’s not a massive leap forward. Dell also has an upcoming 8th-gen update on the way, which should bring even more processing power when it arrives. 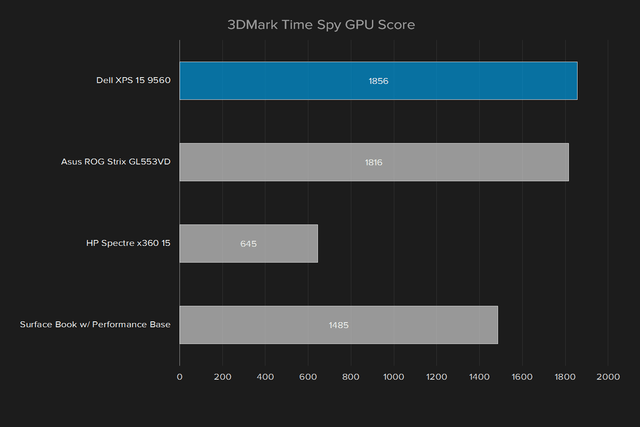 You can see those performance gains in the comparison to the Asus ROG Strix, which features the 6th-generation version of the XPS 15’s processor, the Intel Core i7-7600HQ. 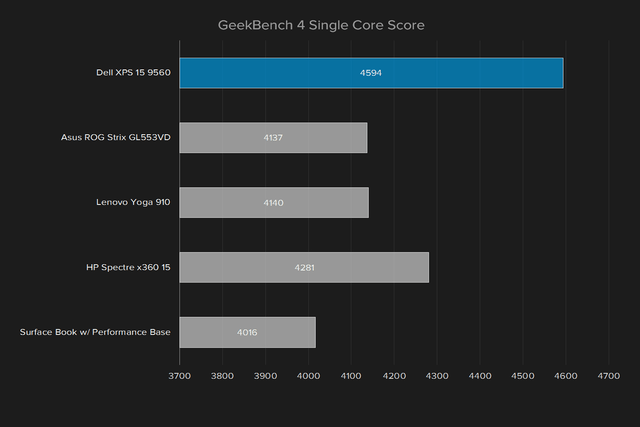 The Strix scores 4,137 on single core performance, and 12,314 on multi-core performance, while the XPS 15 scores 4,594, and 13,814 respectively. These scores are instructive for a couple reasons. 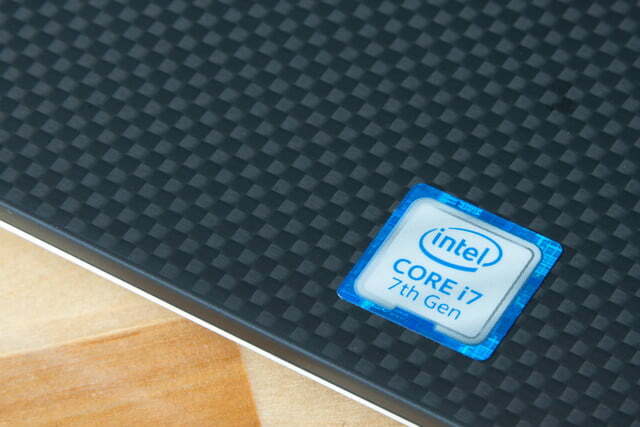 First, you can see that the 7th-generation Intel processors are relatively quick on their feet. Secondly, the performance you gain moving from 6th-generation chips to 7th-generation chips isn’t a large as it has been in the past, so investing in a 7th-generation chip might not be necessary depending on your current needs. Overall, the XPS 15’s quad-core processor is fast and capable, edging out 6th-generation i7 chips, and blowing past 6th-generation i5 chips with ease. Our review unit arrived with a 512GB solid state drive connected over PCI Express. 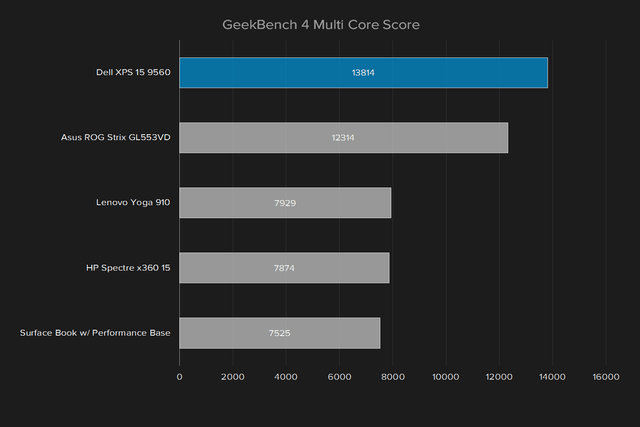 That is what we’d expect to see in a high-end laptop, and it performed admirably. 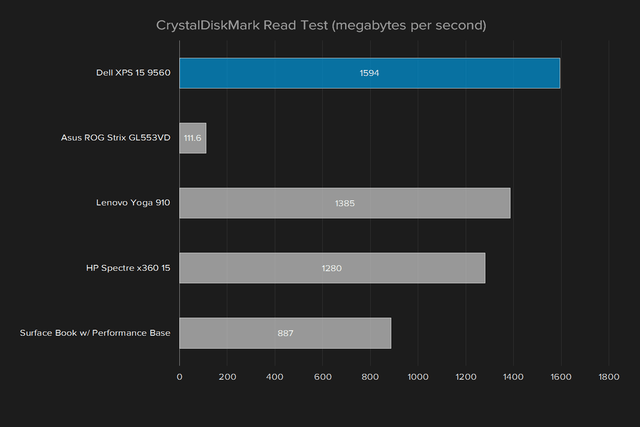 In our testing the drive beat out competitors in both read and write speeds. Among roughly similar laptops, only two we’ve tested beat the XPS 15. 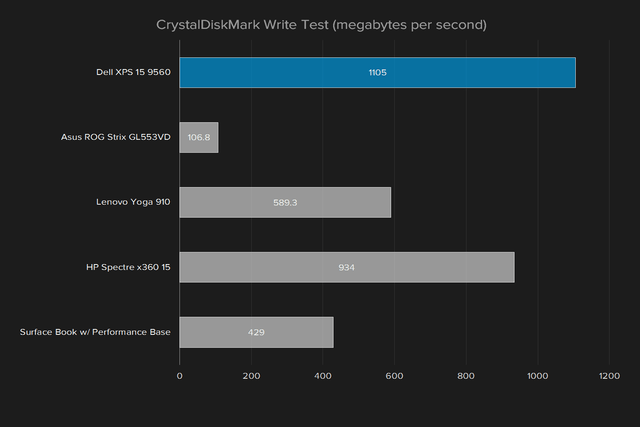 One is the Apple MacBook Pro, which is quite a bit more expensive, and can’t run the same benchmark (as it uses MacOS). The other is Dell’s Precision 5520, which is essentially a workstation version of the XPS 15 – and also a lot more expensive. Just looking at the XPS 15, you’d never guess that it was a capable laptop for gaming. Black plastic, carbon fiber, aluminum, and a single-colored keyboard backlight? Without any red accents or fierce brand-names like Strix, Predator, or Razer, the humble XPS flies under the radar — and that’s a good thing. By including a solid mid-range GPU in the otherwise business-class XPS 15, Dell has created something of a hybrid, an accidental gaming laptop that eschews every “gamer laptop” design trend. The GeForce GTX 1050 purring away under the XPS 15’s hood provides enough headroom to comfortably accommodate recent games at medium-high settings if you scale your resolution down to 1080p. 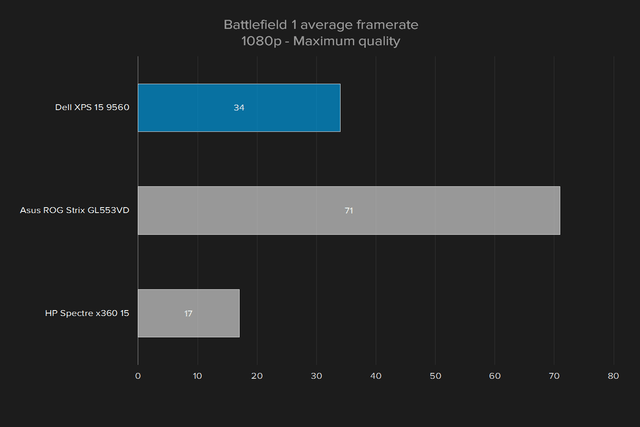 Games still look great on this display, but the XPS 15 just can’t reliably handle 4K gaming. 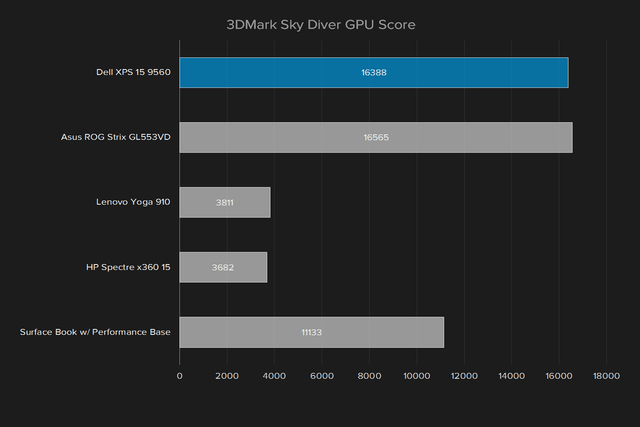 In 3DMark, the XPS 15 outperforms its nearest competitors and performs nearly as well as entry-level gaming laptops like the Dell Inspiron 15 Gaming and Asus ROG Strix GL553VD. In individual games, the XPS 15 fared well, but you should expect to tweak your settings to get the most out of the GTX 1050. It’s not the fastest graphics card on the market and it shows. 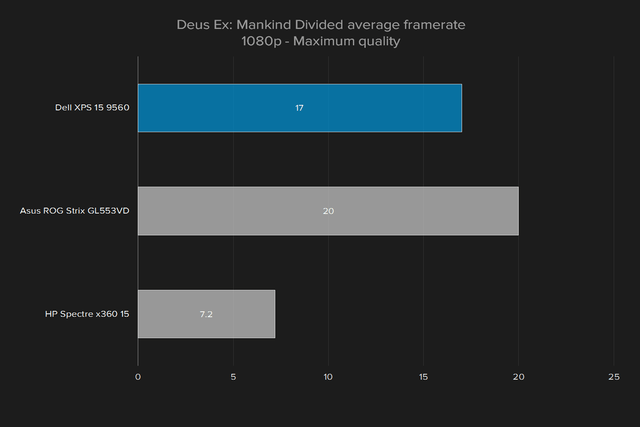 In Deus Ex: Mankind Divided, the XPS 15 managed an average of 25 frames per second at high detail settings and 1080p resolution, while the Inspiron managed 24, and the Strix managed 28. 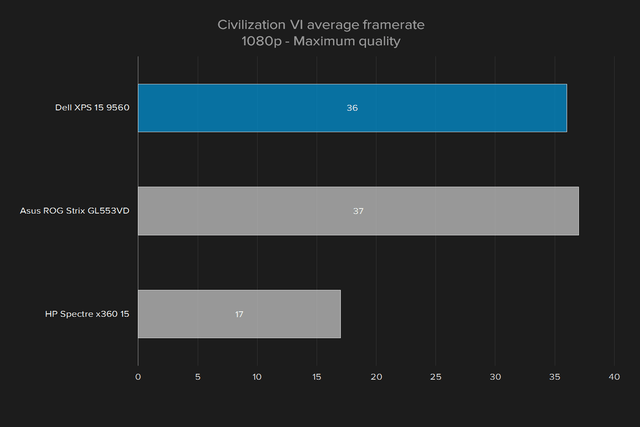 They’re all within the same margin, but for comparison, the Acer Predator 15, a laptop featuring the GTX 1060 graphics card, hit 58 FPS on high detail settings in 1080p. The GTX 1050 is a capable graphics card, but it’s not quite up to the task when it comes to high-detail settings on very demanding games. You can increase your performance to tolerable levels by turning down shadows, or anti-aliasing though. Despite its slim profile, the internal fans do a very good job of keeping the XPS 15 cool even while running demanding games for long periods of time. It’s surprising that the XPS 15 is a decent gaming laptop, since it’s not actually designed to be one. To take it one step further, in the recent 2018 update, Dell is offering a high-end configuration with a GTX 1050 Ti, which should gaming that much smoother. By filing the bezels to the bare minimums, the XPS 15 manages to maintain a very small profile despite its large overall screen size. In fact it’s smaller, though not thinner, than a MacBook Pro 15. Weighing in at just four pounds, you’ll barely even notice carrying this thing around. Putting it in a small bag designed for 13-inch laptops, the XPS 15 still leaves you with enough room to throw in a water bottle, charger, and even another — small — laptop. It’s a refreshing change. Battery life is good, but it might not get you through a full workday, and that’s due to the 4K display. 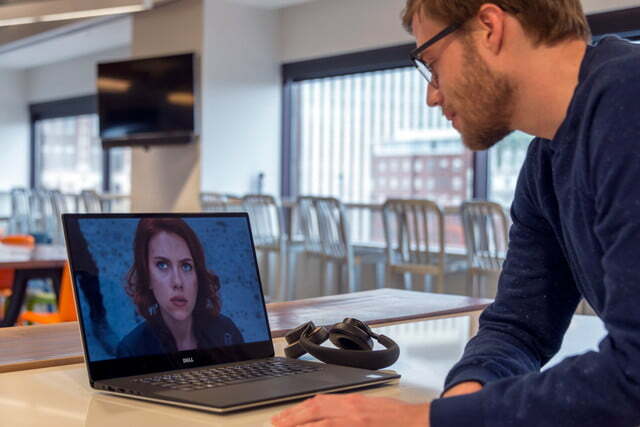 Powering all those pixels takes a toll, and we were hard pressed to get more than five hours out of the XPS 15 in everyday mixed use. That said, most of that daily use was performed in a bright office, with the brightness turned way, way up. On a more sensible power plan, with brightness calibrated to around 100 lux — which is a little under 50 percent brightness — battery life improved significantly. 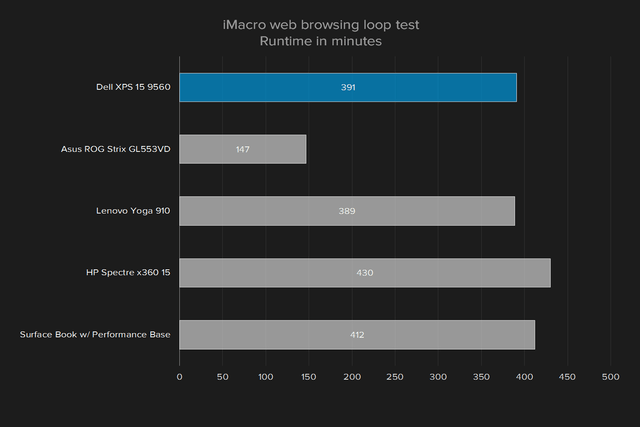 Using browser macro loop, which essentially loads up the same webpage over and over, the XPS 15 managed up to six hours of life. 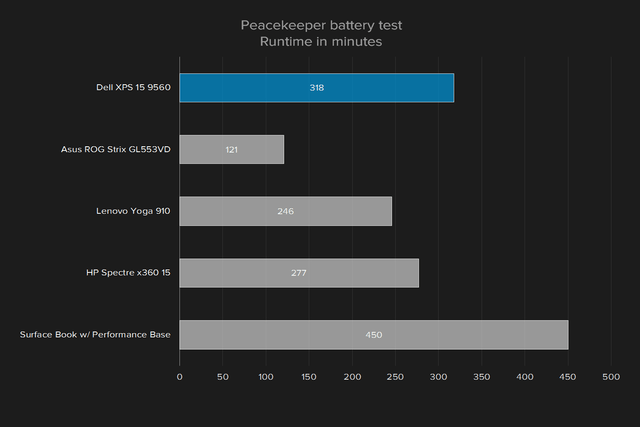 Looking at its nearest competitors, you can see that the XPS 15 provides solid, if not stellar, battery life in most use cases. 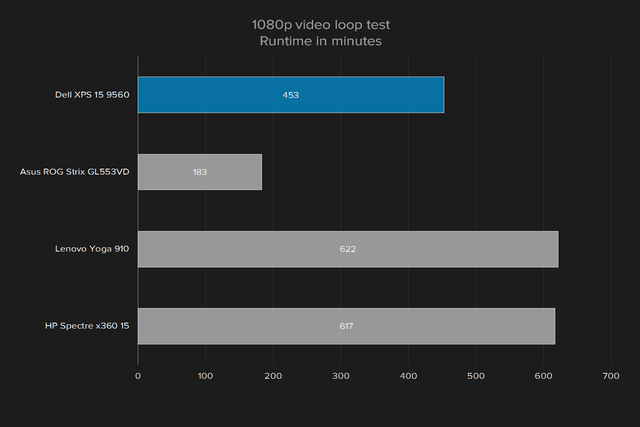 The video loop provided the best results, with the XPS 15 looping the same video for seven and a half hours before running out of juice. 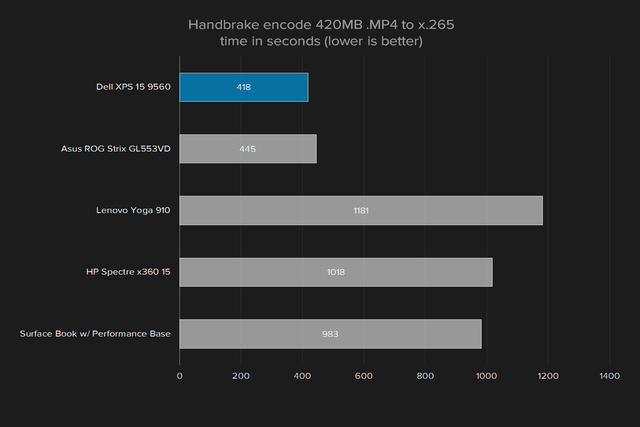 Still, it’s a bit short of what we managed to get out of the Lenovo Yoga 910, and the HP Spectre x360 15-inch, both of which managed upwards of 10 hours before falling flat. Dell is usually good about keeping bloatware to a minimum, at least on its premium laptops. You’ll likely find a few Dell-branded utilities and registration tools on brand-new laptops, but not much else. The XPS 15’s only uninvited guest is a trial version of McAfee Antivirus, which nags incessantly, but it’s easily removed with a simple uninstall. 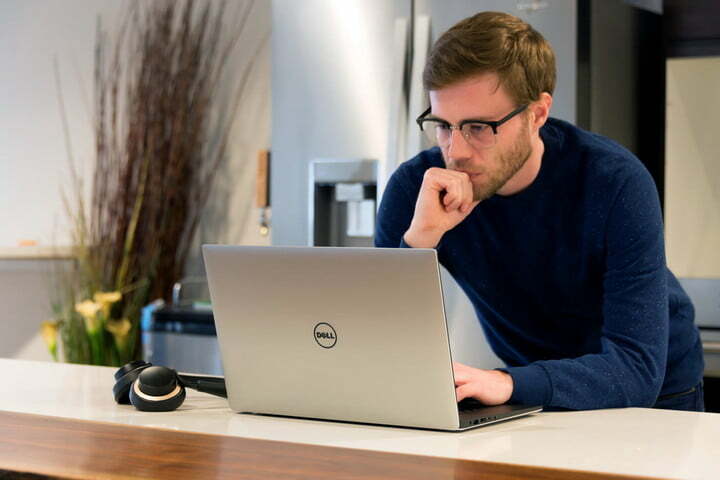 The Dell XPS 15 is protected by a one-year limited hardware warranty, covering manufacturer defects and shipping costs — but the warranty specifies that you’ll need to provide your own box if anything goes wrong. The XPS 15 is a phenomenal laptop. It does have a few flaws, as the speakers aren’t great, and the battery life could be better, but overall the XPS 15 stands head-and-shoulders above the competition in nearly every way. It’s easily one of the best 15-inch Windows laptops you can buy. Yes and no. 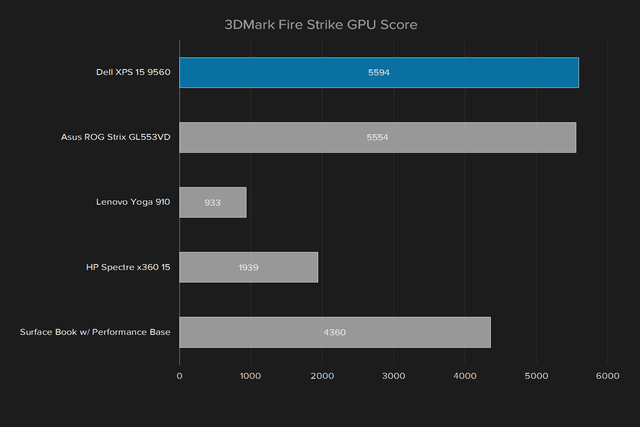 There are better alternatives if you don’t really need a discrete graphics card and 4K display, two factors which contribute substantially to the XPS 15’s price tag. In which case you might be better off saving yourself some cash and investing in one of the lower-end 1080p models — or even the XPS 13. There are other laptops which outperform the XPS 15 in more specialized use-cases. 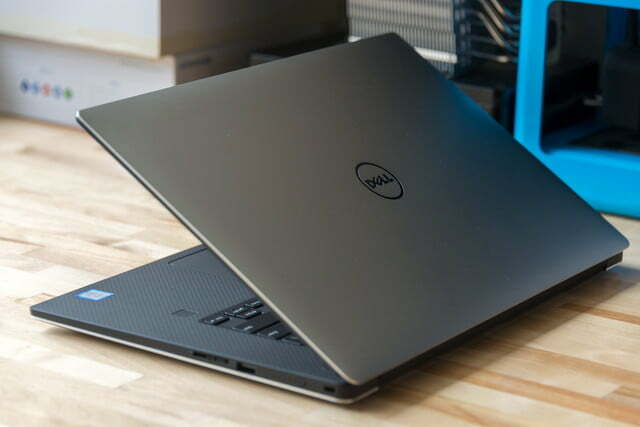 For instance, the Dell Precision 5520 is a much better choice for AutoCAD or other high-intensity software suites on account of its Intel Xeon processor and Nvidia Quadro GPU. But it will run you about $3,700. Dell also introduced the XPS 15 2-in-1 to the lineup in early 2018, though we prefer the XPS 15’s traditional keyboard and more accessible configuration options. Alternatively, the Acer Predator 15 G9-593 would be a better choice for gaming, since it comes standard with an Nvidia GTX 1060 GPU, which runs circles around the XPS 15’s GTX 1050. It costs about the same as the XPS 15. Unfortunately, though, specialized gaming or business notebooks have their own unique drawbacks. Gaming performance can kill portability in more ways than one, and the high-end components in professional laptops drive up the price considerably. With the XPS 15 you don’t have to worry about that, as it’s well-balanced without much compromise. Longer than it needs to. Seriously, this chassis is rock-solid, and it will very likely outlast its internal components. In three or four years when your CPU is showing its age, a well-tended XPS 15 will likely be just as good-looking as it was the day you bought it. This is the closest any PC manufacturer has come to Apple’s lofty build standards. Yes. This is a solid, reliable, and attractive laptop with a reasonable price, and few drawbacks. It can handle pretty much anything you throw at it, and it looks good doing it.